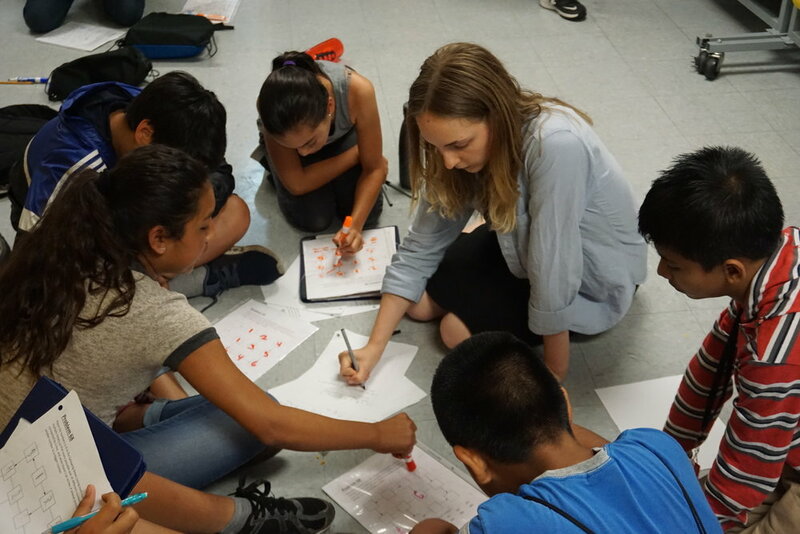 This summer, change the lives of motivated, high-potential students from underserved schools: help them build a supportive community together and develop the social skills they need as they discover a love of mathematics. This page contains information about working at BEAM Discovery, our non-residential program in New York City and Los Angeles. We also hire nationally for a Social Worker at BEAM Summer Away, our residential program in the Upstate New York and Southern California. BEAM Discovery (formerly BEAM 6) is the first entry point into BEAM's programs. It is a five-week non-residential summer camp for students in the summer between 6th and 7th grade. We aim to create a life-changing experience for our students, both academically and non-academically, where they will be in a community of peers interested in mathematics for perhaps the first time in their lives. We supplement the social environment with activities, field trips, guest lectures, and more. All of our staff (including faculty) are welcome to join in on these activities. In New York City, BEAM Discovery will have two locations, one in West Harlem serving students from the Bronx and Upper Manhattan, and one (most likely in downtown Brooklyn or Lower Manhattan) serving our students in Brooklyn, Queens, and Lower Manhattan. In Los Angeles, the program will be run in the Koreantown/Pico-Union neighborhood. Our students are bright and motivated but can't get sufficient challenge at their existing schools. They are excited to be here and ready to learn, but they may not have the mathematical background of other students who have had more regular access to enrichment. A counselor team of roughly 20-30 college students (and some high school students who are junior counselors). The counselors meet the students in the morning for transportation to the program, run activities, are teaching assistants in courses, and assist with some of the program's administrative functions. Ten faculty members who teach classes and also run some activities. A social worker (you!) to provide social and emotional support. You will be with the students during most non-academic time, running activities and using meal times to talk to any students who may need your support. For students, the day includes four hours of math (divided into two hours of classes and two hours of "Open Math Time," which is an independent study period when students have flexibility to explore different areas of math), two hours of activities, breakfast, and lunch. Spending time with students to build relationships with them, among them, and also among students and staff. Staffing main office and answering student questions. In general, weekends have no commitments, although you may opt to come on field trips. The program will likely run 9am-4pm, although specific times may change depending on the host campus. The salary is $6,500 for the summer. Beyond the salary, we hope that you will see the program as we do: a labor of love that reaches the students most in need, and a program with the potential to have a transformative effect on achievement in mathematics and related fields. Please note that the social worker position is open in 2019 at the Los Angeles and New York Uptown sites only. Fluency in Spanish, Mandarin, Arabic, or other languages commonly spoken by our students’ families.